Check out the courses being offered by the English department for the 2019 summer term! Join us for the UTSC Creative Writing Book Launch of three of our stars: Téa Mutonji, Zarah Tootonsab, and Oubah Osman on April 18th at 6PM in the Ralph Campbell Lounge! Three students traveled to St. Louis to present at the Sigma Tau Delta conference in March -- read about it here! In the stressful midterms season, consider sharing your burdens with our embedded counsellor, Carlin. Check out what's happening in and around our department this fall, over in the "News & Events" section. 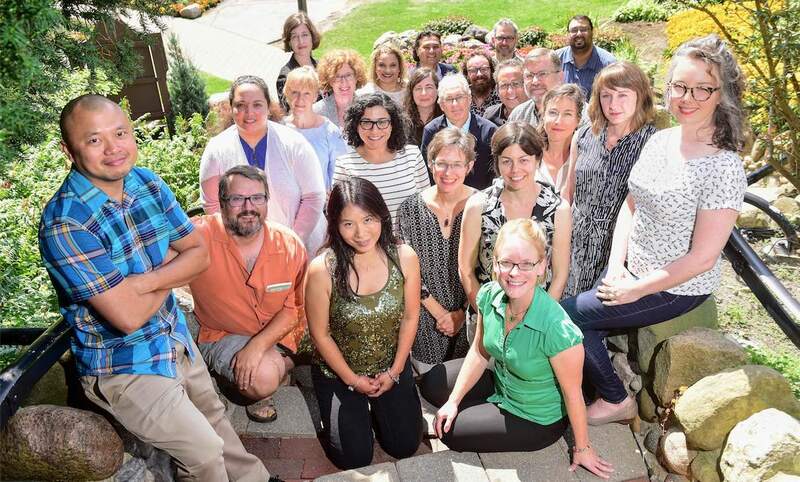 Welcome to the Department of English at the University of Toronto Scarborough! We are a close-knit group of students, faculty and staff united by a shared passion for the work that literature, writing, and film studies can do in the world. English has long been recognized as one of the most versatile university degrees, preparing students for a wide array of career paths, but it is becoming increasingly crucial in a media climate dominated by fake news and rapidly-changing technology. Students who study English at UTSC can choose from several different programs. Some opt to concentrate their undergraduate studies in English with a specialist degree. Others combine an English major or minor with their interests in political science, biology, psychology, women’s and gender studies, and a host of other disciplines. Our minors in creative writing and literature and film, both of which are unique to the UTSC campus, are also popular choices. Students at UTSC can also combine their studies in English with a co-op work program. Regardless of what program they choose, students benefit from courses that expose them to a wide range of texts, as well as the diverse historical and cultural settings with which those writings engage. Our students find that they quickly become part of a vibrant community here at UTSC. They work closely with award-winning faculty as they deepen their strengths as writers and as readers. Many become involved with our student association SELF (Students of Literature and Film), our chapter of the international honour society Sigma Tau Delta, and our weekly writing group COW (Come on Wednesdays and Thursdays). Students also benefit from a variety of departmental events, including film screenings and monthly coffee houses, as well as opportunities to dialogue with visiting writers. We hope you will explore our programs and visit us at a recruitment or departmental event to learn more about what makes the Department of English at UTSC such a special place to be. Get info about current courses to help with your decisions! You spoke -- we listened! Check out the curriculum changes for 2018. Find out what previous students had to say about their experience with our program.